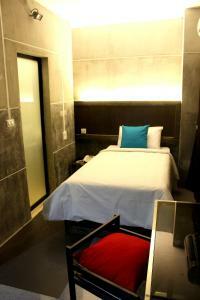 Bangkok 68 is within a 15-minute ride from Central Plaza Grand Rama 9 Mall. 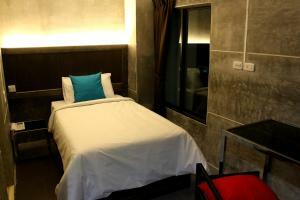 It is a 30-minute drive from Don Muang Airport and Suvarnabhumi Airport. 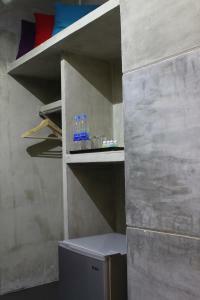 On-site parking is available. 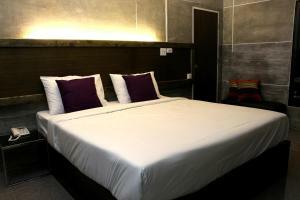 Modern rooms are provided with a flat-screen cable TV and a refrigerator. 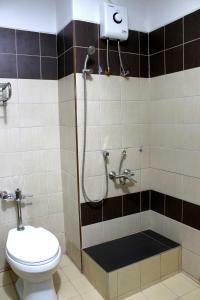 An en suite bathroom comes with shower facilities. 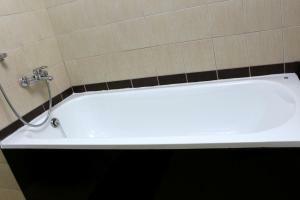 Some rooms offer a bathtub. 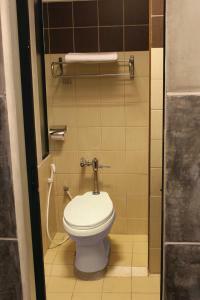 For meals, head to local restaurants located within a 10-minute ride away. 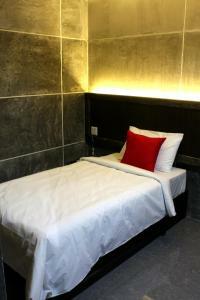 Please note that any guests under the age of 20 will need to be accommodated by a parent or official guardian. 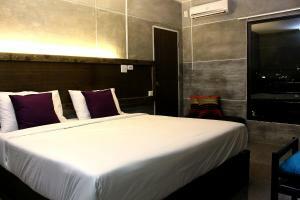 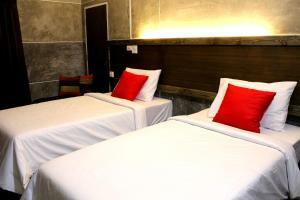 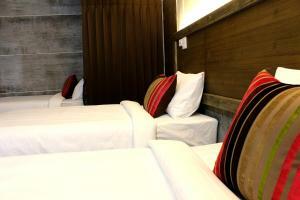 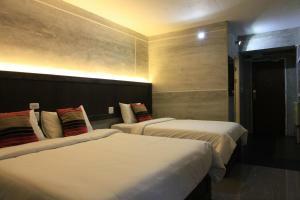 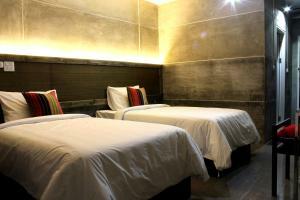 Air-conditioned room features a flat-screen cable TV, a fridge and an en suite bathroom with shower facilities. 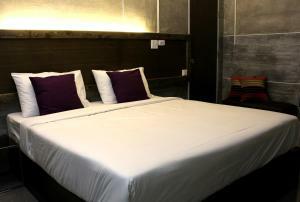 Rate: THB 600.00 ... THB 1700.00; select dates below to get current rates. 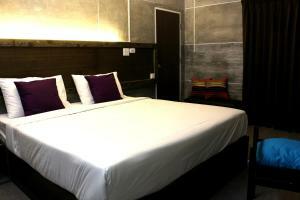 This air-conditioned room features a flat-screen cable TV, a fridge and an en suite bathroom with shower or a bathtub. 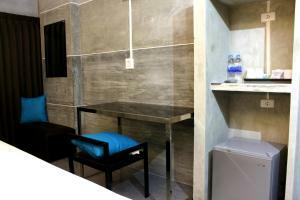 Larger than Single Room, this air-conditioned room features a flat-screen cable TV, a fridge and an en suite bathroom with shower or a bathtub. 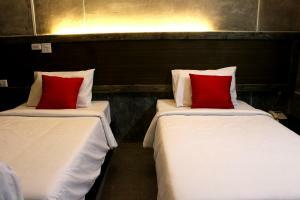 Spacious air-conditioned room features a flat-screen cable TV, a fridge and an en suite bathroom with shower or a bathtub. 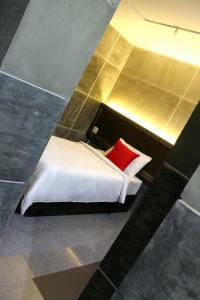 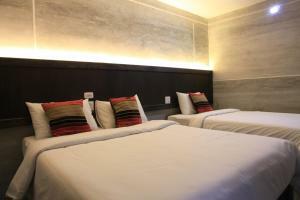 Comprises of 2 connecting rooms, this air-conditioned room features 2 en suite bathrooms. 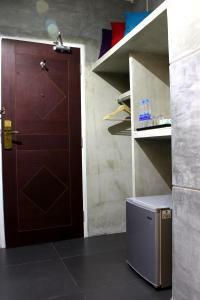 Includes a flat-screen cable TV and a fridge. 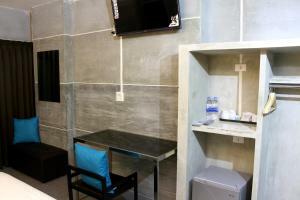 This air-conditioned studio features a flat-screen cable TV, a fridge and an en suite bathroom with shower.